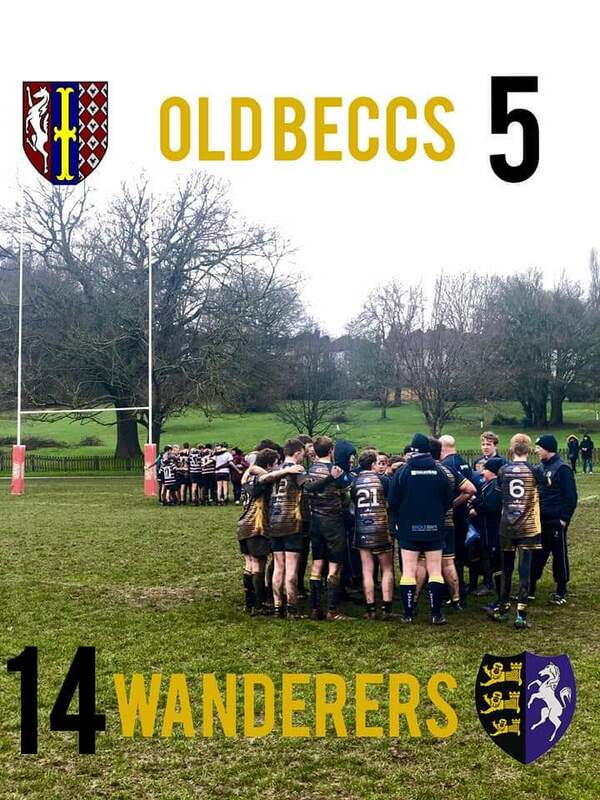 TWRUFC U 14s made the long trip to Beccehamians Rugby Club for their Kent Bowl Semi Finals on this cold wet Sunday morning. Dover RFC had already dropped out as they were unable to field a team, which meant it became a full match knock out between the 2 sides. Thanet started well playing up the pitch and into the wind hoping they would take advantage in the second half. The boys continued their intensity from the previous match against SAS and challenged hard in the tackle and pressing up fast in defence. Working on the England basis of Dominant tackles TWRUFC defended well causing lots of turn over ball with some crunching tackles from Josh P, Flynn S, Sam M and James P to name a few. Beccs regularly spilt the ball due to the ferocity of the TWRUFC defence. After 12 minutes the deadlock was broken after another dominant scrum from the TWRUFC pack and some slick handling along the backs before Josh P beat his opposite wing on the outside and outran the Beccs Full back for a half the pitch sprint and score under the post which was converted by Captain Harrison Q. The score remained 7-0 to Thanet at halftime. Playing downhill with the wind in the second Half Harrison Q regularly tested the opposition full back with some probing kicks. The forwards remained dominant in the scrums and rucks but due to the wet muddy conditions there were a lot of drop balls from both sides, before a fine break out from inside the Thanet 22 by James P and Patrick S gave Josh P the chance to outsprint his opposite number again with another ¾ length sprint to the line, again well converted by Harrison Q. Beccs did not drop their spirit and some strong running by one of their pack meant they scored in the corner however with 7 minutes to go, they were unable to convert. Thanet still led 14-5 which meant for a nervous last few minutes for the parents and coaches. Then the big Beccs backrow player breached the Thanet defence evading a few tackles and sprinted for the line only for the outstanding POW Josh P to cover across from the far wing and a last ditch tackle caused the Beccs player to be knocked behind the dead ball line and spill the ball, a try saving tackle if ever there was one and appreciated by all who were present. A last few moves by the Thanet backs were unable to be finished despite ending up close to the Beccs try line again. The final whistle sending the team, coaches and parents into humble celebrations. The Thanet boys were heaped with praise from the Opposition coaches and the Ref for the way they played, and all are now looking forward to Finals day on 7th April. Our 2nd year on the trot of reaching the final and hopefully defending the cup we won last year. This was a full team effort and all 19 players played their part, no one gave up every kick was chased, and every tackle was made or attempted. The Forward pack despite being smaller again out scrummaged the Opposite pack scrum Half Owen J was tenacious again in winning the ball and providing quick ball for Fly half Harrison Q. The back row of Sam M, Oz W and Flynn S all put in a great attacking and defensive shift and centre James P regularly broke the opposition line however it was a unanimous decision that Josh P was the outstanding POW with his best game this season with 2 x fantastic tries and a number of great tackles.